The inaugural Ironman Melbourne has quickly earned a spot among our fastest Ironman race rankings, with an average finish time of 11:32. 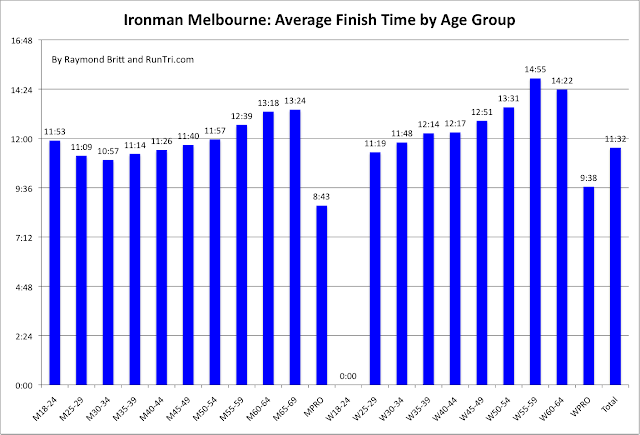 As of midnight, 1478 triathletes had finished, and the DNF rate was in the very low 2% range. 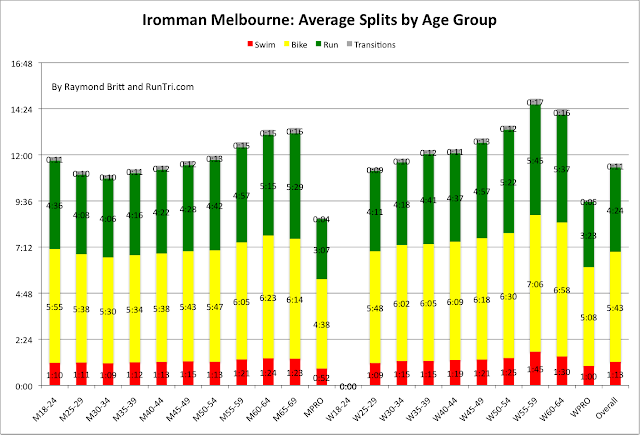 Compared to most other Ironman events, the swim course was lightning fast at an average split of 1:13, the speedy 5:43 bike split was consistent with our analysis that about 50% of an ironman race is on the bike, and the run course also ranked among our fastest, with an average split of 4:24. Most remarkable about that run split: it's nearly identical to average New York City Marathon time, and only about 30 minutes slower than the average Boston Marathon finish time. 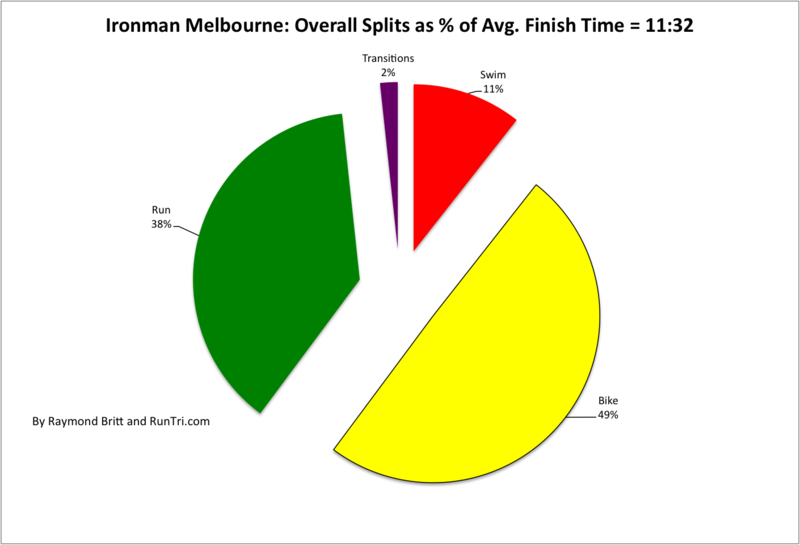 For more comparisons see our article in Triathlete Magazine, and Ironman Marathon vs. Stand-Alone Marathon: Which is Faster?